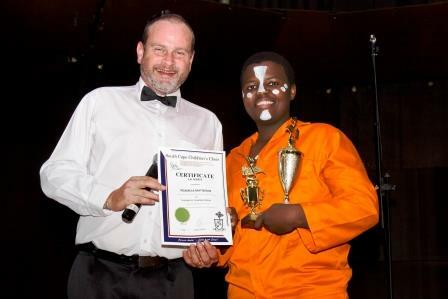 On Friday 4 November 2016, the SCCC held its annual Prizegiving Awards Ceremony at Glenwood House Private School Auditorium, followed by a braai and party. Awarded to a junior member of the Choir who distinguished him/herself by "stepping in and stepping up" to the diverse challenges of choir membership. Awarded to a senior member of the Choir who distinguished him/herself by "stepping in and stepping up" to the diverse challenges of choir membership. Awarded to junior members who demonstrated their passion, dediction, loyalty and commitment to the Choir both on and off the stage. Awarded to senior members who demonstrated their passion, dediction, loyalty and commitment to the Choir both on and off the stage. Awarded for excellence in the caring for, and pride in, wearing the choral uniform of the Choir. Awarded to a member whose individual spirit has contributed greatly to the success of the Choir. Awarded to a member whose individual personality and energy is "a breath of fresh air" to the Choir. 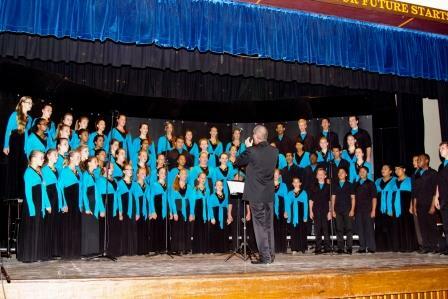 of performance, contributing to the overall success of the Choir. and leadership skills, thereby contributing greatly to the unity of the group. Awarded to members who have attained a 100% attendance in the activities of the Choir over one or more years. Awarded to a member with unique musicality, utilizing their gift in the advancement of the overall excellence of the Choir, and exhibiting the highest artistic professionalism in the execution of their duties. 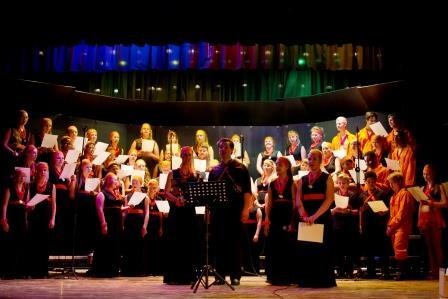 Awarded to members wh have been worthy ambassadors of the Choir, living their passion for the Choir, and exhibiting the highest leadership and good service to the Choir.